Each person you meet has the potential to change your life. It is essential you learn the correct techniques involved in networking. It starts as simply as learning how to use the people who already are your friends and expanding on their contacts. This audiobook will allow you to think outside the box and see that networking is not difficult and can lead to many great rewards. It will show how by talking to people, you broaden your playing field. It will urge you to become giving and strive to always receive back. Being an active networker is essential to one’s career success. Knowing how to find the right people to get you to the next level is a crucial aspect of any successful career-minded professional. 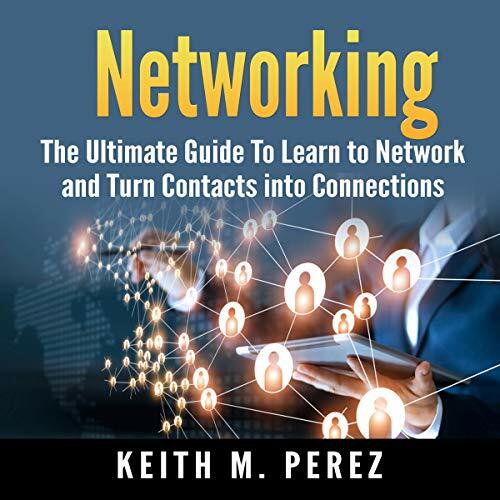 This audiobook will make sure you’re equipped with the knowledge to help keep improving yourself and become a great networker!